We've all got them! 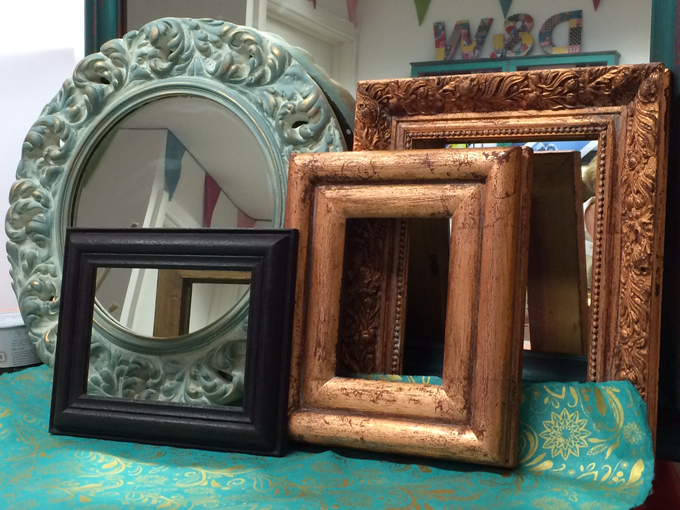 Picture frames that sit in cupboards or simply need a new look. Using Annie Sloan techniques you will transform your tired looking frames into things of beauty. Techniques covered: mahogany look, gilding, washes, hand painting, embossing, stamping and more. Please bring a selection of your own medium-sized frames. Cost per workshop: £70 including a £30 deposit on booking. All materials will be supplied apart from frames. Refreshments and lunch included. For more information please email or phone Delight & Wisdom on 01434 632818.